"What's All ThisTalk About Rich?" Please receive this letter in good spirit and with high praise for your company’s assistance and professionalism in the handling of a recent transaction on my behalf. I would especially like to thank, Mr. Richard DeCeglie, the Watson Associate helping me with my efforts. Mr. DeCeglie was available by phone, text, or email. At every point in the process and made the whole experience effortless and well managed. I will highly recommend his services and that of Watson Realty Corp. to anyone looking to purchase in Palm Coast, or any other area in Florida. It truly was a pleasure doing business with each and every one of the Watson Team. I am writing to let you know how much I appreciate the customer service you have provided to me. In the past you have sold two houses for me: due to family circumstances I had to remove my present house from the “For Sale” listing. I will not forget how good you were to take time to keep in touch and offer your help. Thank you for your letter. I’m sorry we haven’t sent this letter to you sooner, but we all had the flu. It went from all the Weinhauer family to the other. I was very pleased with all you did for me, with the handling of the sale of the land in Palm Coast and how quickly you were able to sell it for me at a good price! You did a wonderful job for me and my family. I thank you for the super job you did for me and I would give name to as many people I can, that can use your expertise in the Real Estate market. Thank you once again for all your work in selling the Palm Coast Land. I treasure the opportunity to write this brief note for two purposes: one is to show my appreciation of Richard DeCeglie for his assistance on my real estate needs in recent years-He has sold four pieces of my Palm Coast lots. Another is to recommend him for whoever needs a professional help in dealing with buy/sell properties in Palm Coast, Florida. I never met Richard in person although I have known him for a dozen of years. I have received and enjoyed reading his monthly newsletters for fifteen years more-or-lessly. Through reading these impressive letters with his chosen content I get to know him as a very knowledgeable, well organized real estate broker of high integrity!! He also has a good sense of humor!!!! Long before I had the desire to sell my property in Palm Coast I have decided he would be my choice of a broker. One after another properties, he handled the sales and closings super professionally, clear, precise and easy! No hassle! We talked on the phone a lot. He is always cordial, friendly and very efficient! Through all these dealings I also found him as an honest and client-caring professional. I have no reservation in recommending him to my family and/ or friends as a real estate professional !!!! Thank you so much for helping me through the sale of my house at 16 Fleming Court. You were a constant source of support for my family and me. I always appreciated how quick you were to respond to my phone calls, and your ability to calm me down during this process. Your professionalism coupled with your knowledgeable and ethical standards are to be admired. Your reputation preceded you and there was no question you would be my realtor. Again, thank you for all you did to bring this sale to fruition, and I am happy to recommend you to anyone looking for a Realtor with integrity. Rich DeCeglie kept us informed of his attempts to sell our condo at Marina Cove. His efforts resulted in a sale during a difficult marketing situation. The gate and the May Management Company restrictions presented numerous obstacles to a sale. FORTUNETLY, RICH PRESERVED!!! Richard- My brother , Dave & I would like to thank you for your assistance in selling our mother's home in Palm Coast. what can we say ...an offer within 48 hours and a quick contract. This proved to us that you truly know your market and have the unique ability to match inventory and local clientele! On Behalf of my dad and our family, we want to thank you for the wonderful service you gave us during the process of listing and selling my dad’s home in Palm Coast Fl. As you know, with two of my sisters living in Minnesota, one in Georgia and myself in Virginia, managing the process of selling a home thousands of miles away is daunting. You were highly recommended by my dad who brought the home with your assistance 20 years ago, and now that he is no longer able to maintain the property, you were equally as helpful on the other end of the transaction as sellers. You not only gave us helpful recommendations about the types of repairs and cleaning that we should do before listing the house, but you sold the house very quickly. We couldn’t have been more surprised to receive two offers at or above list price within 48 hours of putting it on the market. It’s hard to believe that we were able to close on the house only 6 weeks after listing. Thank-you very much for the service you have given to our family over the years. We wish you continued success in the future. Bill and I were very impressed by the way you handled the sale of our house. You made it very "easy" for us by taking care of all the details. We did appreciate you keeping us informed of the visits and comments of all the potential buyers. Daniele had no idea the sale of the house and paper work could be done in barely two months. Very impressive !. We are very grateful for the efficient way you took care of everything. 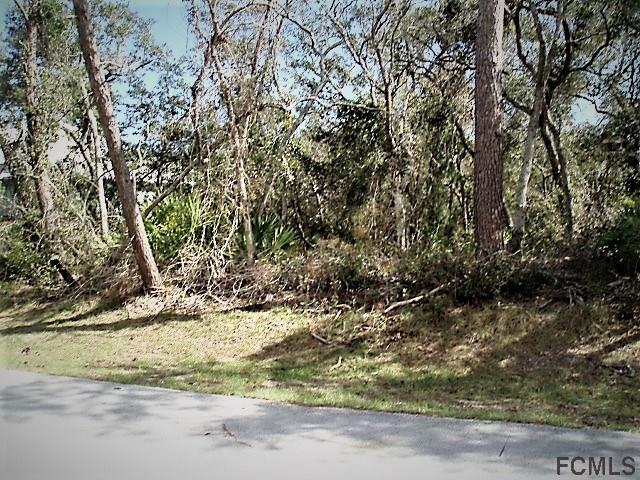 I want to thank you again for your assistance in selling my mother’s lot in Palm Coast. I appreciate your efforts in keeping me posted of your marketing as well as market conditions. Once we lowered the price you were able to secure two offers! I will certainly recommend you to anyone I know looking to sell or buy in the Palm Coast area. I am ashamed this letter is later than I had expected, but I was determined to hide from all the unpacked boxes to give you a huge Thank-You! I’m not sure how fast you have sold your other homes, but ours is a miracle for sure. A real estate dealer saw it while you were printing the pictures! Wow, you have been a great Realtor plus a great new friend to us. You kept us informed on all things. Even after the sale of our home. I am so thankful because at the time you were dealing with the loss of your mother too. She is looking down from heaven and smiling because of her son. We pray for others to choose you as their real estate consultant. Thank you again and know you have a friend and friends in Upstate NY. Paul and Ginger … and Jade. I am writing to express my pleasure with real estate agent Richard DeCeglie, who represented us in two sales of my father homes after he passed away. Richard has handled all of my father’s real estate holdings over the years. He also facilitated the process as we do not live in Florida. Richard guided us through the entire process, from listing, reviewing comps, suggesting sale prices, and advising us regarding any repairs. Once listed his knowledge of the market had it sold within a couple of weeks. We credit Richard with a smooth, stress-free home-selling experience during a very stressful period of time in our lives. We do own a home in Palm Coast and will definitely seek him out when we are looking to sell or buy in the future. To reiterate, we are nothing but pleased with Richard and his expertise and we recommend him to everyone. Tara and I wanted to, once again, say thank you for your wonderful representation in selling our home. Your attention to detail and aggressive marketing campaign were integral in selling our home in less than two weeks at full asking price! We appreciate how you followed through to the very end, helping us manage a few bumps along the way. Please feel free to use us as a reference for prospective clients. We would highly recommend your services! Best of luck in future endeavors. You are our hero. In 24 hours of contact, we met at our location with a survey of the area prepared by you. You set us up and worked out the possibilities. Viola – a sale within 6 weeks, in spite of Christmas and a death in the family. Dedication, efficient and a communicator are only a few of your assets. I met Rich DeCeglie in June of 2004 after my mother passed away and my family and I needed a valuation of her home in Palm Coast completed for her estate. I found Rich to be very knowledgeable and helpful in his preparation of the report he prepared. The property remained in our family with my two brother, sister and I retaining ownership. In 2014, my oldest brother passed away and I again contacted Rich requesting a valuation. Both in 2004 and 2014 Rich told my siblings and I , should we ever decide to sell the property he should be happy to assist us. My mother’s home remained in our family until October of 2017. Between 2014 and 2017 the house was not maintained as well as it should have due to financial burdens. All Three of the owners of the property agreed it was time to put the house up for sale. Rich came to the house and did a thorough walk through the property and guided us as to what needed to be done to ready the house for sale. Rich was extremely helpful and provided names and contact information of qualified individual s who were able to assist us. Rich discussed with us his marketing strategy for the sale. Within 24 hours of the property being placed on the multiple listing, the house was shown four times and wih9n that 24 –hour timeframe we received a full price offer on the home. Our transaction was a little complex due to the way title was held and the death of one of the owners. Rich did a wonderful job coordinating the transaction with the title company and estate attorney. I could not be more pleased! 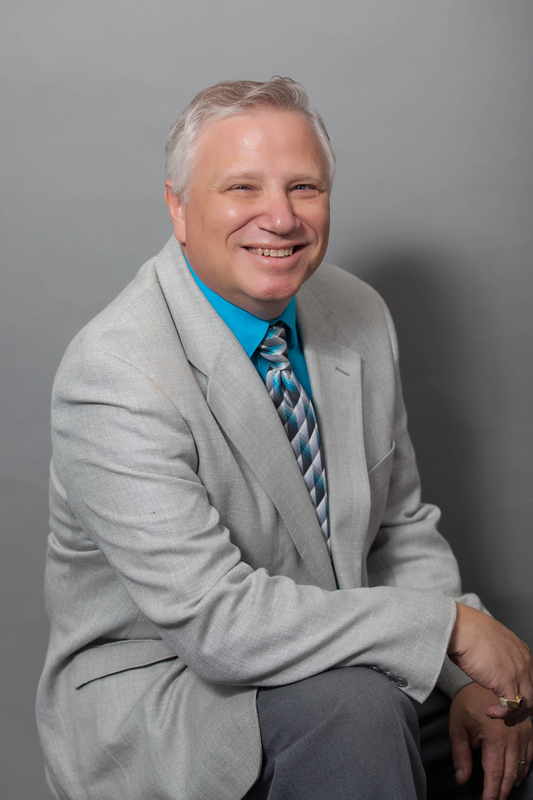 If you are looking for a Realtor in Palm Coast, I highly recommend Rich DeCeglie. If you think four hours is too long to sell your house, then you should not hire Richard DeCeglie. He’s way too efficient for his own good, but let me tell you, he really knows his “hood”. If efficiency and speed is not for you then your “choice” should not be the DeCeglie crew. He works way too fast, ‘your head will spin, but in the end you will win!! Rich… Seriously! I knew I was hiring a go-getter--- but you out-did yourself! Thanks for selling my house as only you could do it! Even Hurricane Irma couldn’t beat you! I wish to thank you for the professional and swift manner in which you handled the sale of my home in Palm Coast. In our many conversations, you told me what I had to do to make the property appealing for sale. Since I am quite unfamiliar with real estate matters, I relied completely on your expert advice. My living out of state in Maryland for the whole process made it that much more stressful, but your constant contact by telephone and email made it almost as easy as being there. I would definitely recommend your services to anyone buying or selling real estate in Palm Coast. Thank you! I want to thank you for doing a job well done. You were a constant help to me above and beyond your normal duties and I appreciated very much. I would highly recommend and refer you for your professionalism as well as your consideration and respect for your clients. Don and I would like to thank you for your communication and professionalism in the sale of our waterfront property in Palm coast. The whole WATSON TEAM worked diligently from listing through closing. Astounding! Thanks so much. Keep in touch. Richard has now sold three homes for us. After three transactions, we can’t think of a single complaint. He’s responsive, knowledgeable, and ethical and knows how to sell homes. Every once in a while, you get the opportunity to work with someone that’s above average and excels at what they do, Richard is that person. It’s been a pleasure to work with him and we highly recommend him to anyone looking to buy or sell a home. Thanks once again for helping Joan and me through the sale of our house. Things didn’t always go smoothly, but you kept us focused and guided us through a difficult time. Your skill and good relationships with local realtors were an important part of putting everything together and achieving a happy conclusion. We cannot imagine not having you along to help us through this. We will miss you, but look forward to receiving your regular mailings from Palm Coast. We wish to express our sincere appreciation for your outstanding service, in the swift sale, and close, of our home in Palm Coast! With your ecperience and knowledge, you guided us through the entire process in a most professional manner! Ruth & I wanted to congratulate you on the sale of my late father’s Palm Coast residence. We appreciate your professional attitude, aggressive sales approach, and your dedication to selling the property. Your unique & savvy expertise in the local sales market was a great help. We would highly recommend you to anyone buying or selling in the Palm Coast area. Being inexperienced with the real estate protocol in Palm Coast, you led us through the process. You were never too busy and always available to answer questions. Promptly answering phone calls is a big plus to us. We wish you and everyone in your family, including your parents, well and know you will have a successful business for years to come. Thank you for all your assistance. Blessings to you and to your family. I want to thank you or your efforts on my behalf for the sale of my property in Palm Coast. I particularly want to express my appreciation for the tireless efforts of Rich DeCeglie in the successful sale of my house. He performed far and above what is considered necessary as a real estate agent. Please convey to him my sincere thanks. This email letter is to thank you for your Professionalism in selling my condo in the Canopy Walk subdivision. You were very helpful in helping me setting up the unit to be listed. I feel very lucky to have you as my listing agent. I consider you not only as a Professional, also as a Friend. If I need a real estate agent again in your area, I definitely will be calling you for your assistance. THANK YOU!!!!! We greatly appreciate the assistance you provided in selling our condo in Palm Coast. You were very thorough, and always replied promptly to our questions. The sales price you suggested was right on target, and helped us sell the condo easily. Your professionalism in the sale of our house in Palm Coast a few years ago, is why we came back to you again this year. I highly recommend you to anyone looking for a realtor in the Palm Coast area. Crystal and l just want to express our appreciation for the way the sale of our home in Palm Coast went. You came highly recommended by our Real estate agent all the way up here in Connecticut. We needed a quick and efficient sale on our home in Florida to allow our purchase of our new home I n Ct to go through and you made it happen. You listed the house on a Monday morning and told us you were going on vacation on Wednesday and I asked jokingly if you could sell it before you left and to our amazement you had a buyer by Tuesday afternoon. The whole process was done on a professional way even in the way you showed personal interest in the way you dealt with our tenant. We really appreciated the way you always returned our calls promptly. We will highly recommend you to our friends and family who still live in Florida and when the time comes in the future for our retirement home you will definitely hear from us. This letter is to thank you for the care you took in listing and selling my waterfront home in Palm Coast. You were professional, reliable and courteous to everyone including my tenant, property manager and myself. Your expertise in waterfront homes is why we selected you and your advice on pricing and negotiations was very helpful to ultimately sell at a price we were happy with. Because of your good work, we have listed a second property with you and hope it will have as much success. Before choosing a real estate agent, I researched to find the best choice based on the investment they would make into selling my property, how they promote their listings as well as time and effort. Rich DeCeglie stood out as the best Realtor to use for my particular investment property and its location. Having confidence that Rich could get my property sold quickly, in just 7 days I must add, made this journey easy for me. I am so grateful for his expertise and commitment. Thank you Rich! Rich DeCeglie was our listing agent for the sale of our primary residence. We were extremely pleased with his constant communication with us on this transaction. We also were pleasantly surprised by a video he made of our listing, which showcased our home in an extremely favorable manner. Rich sold our home in a two-week period! I would highly recommend contacting him for your real estate needs. His knowledge, integrity and professionalism are exactly what we looked for in a real estate agent. He is very experienced in this field and it is reflected in his work ethic. George and I just want to thank you so very much for the help you've given us in our recent purchase of 7 Princess Kim Lane in Pam Coast, Fl. From the first time I called you about the land for sale, you were so helpful and courteous. Your professionalism really shone through when you always returned my calls in a timely fashion. Your instructions for purchase were always so clear. I know it is not easy purchasing land when I am in NY and the land is in Fl. but you handled everything for us! Thanks again, so much, and you will be highly recommended to our friends and neighbors. I would just like to say that Richard DeCeglie did a good job in getting my parent’s house sold. We were given some good tips on de-cluttering the house for preparation for getting the house on the market. Richard then provided us a general resale estimate of comparable houses in the area. This gave us a good starting point for the initial value of the house. After two week on the market the interest really slowed down for our house and Richard re-evaluated the current traffic flow and suggested a revised pricing arrangement that would more closely match our specific situation. We then revised the offering price accordingly which then generated an offer for our house in short order. So overall we were very pleased with how Richard handled the sale of our house. Definitely one of the best. A consummate professional and great communicator. I've worked with Richard to sell two homes and he sold both quickly and in both cases got me the fair market price. When you're selling a home, it helps you sleep at night knowing your agent is working hard to get you a buyer not just waiting on MLS. Richard hustles to get the job done. I would not hesitate to use him again. VERY PROFESSIONAL!! DAILY CONTACT. CHEERFUL AND HELPFUL. We had a quick and easy closing, It is always a pleasure to work with nice people and Richard is a super nice person. We wish to thank you, for your great devotion and hard work, as the Listing Agent for the above mentioned Property. Your dedication at pleasing the seller is far beyond the bounds of duty. Releasing the listing early at our request without penalty, was greatly appreciated. Your relationship with u far exceeded the positive comments we had heard about you. We want to wish you, all the success in the world, as you are not a person that takes into counting, all the little favors you grant you clients. For this we will forever remain grateful to have known you, and working with you. told me that my parents really liked him and that his name was Rich DeCeglie. tell those stories about me. it. That’s just the kind of guy he is. We wanted to express our thanks and gratitude for making the sale of our parents ‘ home such a smooth transaction. We feel things were handled on a highly professional scale down to every last detail. Your professional service as our selling/listing agent and the support and services of Watson Realty & Watson Title Services were extremely efficient and timely. Given the fact that this sale and closing were handled from an out of state perspective it’s still hard to believe within a little more than 3 weeks there are new owners living in the residence. We would be more than happy to do so. This is to express to you our appreciation for your helpfulness, efficiency and cooperation in selling my mother's home after her death. You were so conscientious in all aspects of the sale that you sold it in a surprisingly short time. Later, you followed through for me in all the procedures involved in closing the sale, and you turned what I had thought would be an insurmountable task for us into an easy accomplishment. And throughout, you constantly kept us informed of all developments. It was a real pleasure to do business with you. I wish you much success in all your future endeavors, and I feel confident that all your future clients will also be extremely favorably impressed with the caliber of your services. Thank you again for all your help. you did in selling our house in four days. should follow your lead in all that you do for your client. Your phone calls to update progress were frequent and appreciated. Keep up the good work and that great smile. Please accept my deepest gratitude for your services. It was a pleasure doing business with you. You displayed profound knowledge of the real estate industry and professionalism. I am grateful to God for you selling my home in 33 days. Richard was extremely helpful in selling our home. His professional advice was right on the mark as to improvements that required before we put the house on the market. His knowledge of the market demands and current real estate conditions in the area were very accurate. He was very professional and kept us informed of everything. He was very pro-active in his sale and methodology. After all, I think it is his hard work and his experience that allowed us to sale our home for more than was expected. I would recommend his services to all potential buyers and sellers. work with, cuts down to chase and gets things done. Thank you so much for all your help, Richard DeCeglie! Sorry this has taken so long. Besides moving, working on the new house, waiting for workmen, deliveries, etc. we had big computer problems. Not quite solved yet, but Ed and I want you to know that we appreciated all your work in selling our property. From your first visit to our house, you explained the steps in putting the house up for sale. We were impressed with your thorough explanation of what was all involved and your job in the sale. We followed your advice about putting away family pictures and painting the front door. Led to a better viewing I’m sure. Your advertising steps made a big hit with my sister in Schaumburg, Illinois, when she saw pictures of our house on the internet. Our neighbors were most impressed that the house sold in 20 days! We were pleased with that, too! Not to mention that two houses on our street had been up for sale for along time. Thanks so much, Rich. We would definitely recommend you to others. I would like to thank you, Richard, for such a good job you've done. It was really quick .I appreciate your honesty and professionalism .Any time I called you with any questions you return my call almost next minute and giving me good advices. Thank you one time more, Richard, and I am going to recommend you to all who need such help. I would like to thank Richard DeCeglie for selling my home in 2 weeks’ time. Richard is very professional and efficient. Richard was recommended by a friend. His real estate knowledge was very impressive. He always returned phone calls promptly, very caring and always with a great personality. Anyone looking for a great real estate agent Richard is the one. Give him a call and you want be disappointed. One again, thank you for a great job. I have worked with Rich (DeCeglie) over the last 10 years or so and have had nothing but great results in down markets and up markets. He is honest, professional and positive and would recommend him to anyone buying or selling in the area. easy. Thanks again for everything you did. Richard, I want to thank you for selling my house in such a short period of time. The knowledge you have of the real estate in the Palm Coast is what makes you the premier listing agent in the area. I appreciate your honesty, promptness, and your sincerity and I can't thank you enough for your great service at listing and selling my house. Anytime I called you with any questions, you always returned my call almost immediately, which means a lot to me. I was very surprised when I received two offers in the first three or four days. Most of all, I was very excited when I received and accepted an offer that I couldn't refuse in less than 21 days. My home at 16 Blakeshire Pl. closed on December 24th of 2014 after only being listed for about a month. Way to go Richard DeCeglie and the Watson Realty team!! If I know or hear of anyone who is considering selling their home, I will tell them that the only person for that job is Rich DeCeglie of Watson Realty. He is the most qualified person I know to list your home and get the results you want and in less time. Rich is truly a testament to the industry. Thank you so very much Richard. I recently sold my home on 23 Freeland Lane, Palm Coast, FL 32137 and have to say it sold very quickly under the realtor I chose. Rich DeCeglie, who is with Watson Realty in Palm Coast, did a fantastic job at listing and selling my home in record time. It was listed and sold within two weeks and I must say I have never had a home sell so quickly. Rich prepared a video of my home and listed it on You Tube as well as Trulia, MLS listings, etc. The day after it listed I had 3 or 4 appointments set to come see the home. Within two weeks we had 3 contracts for me to choose from. If you are looking to sell a home, I would highly recommend Rich. He is excellent to work with as far as communicating his intentions and listening to the seller’s advice. If I asked him questions on which contract I should take he would not tell me but he would explain the different financing each buyer was using and how each of those financing options worked. This helped me decide which one to take. Whenever I called Rich he either answered my questions or if I had to leave a voice message he would call back within the hour. I want to personally thank Rich for the excellent job he did for me. In fact, if anyone wanting to put their house on the market and have any questions on Rich I would be happy to talk with them and let them know what a great job he did for me. I can be reached at 540-846-9678. Again, Thank You Rich for a job well done! I just wanted to write this note to let you know how much I appreciate your hard work and efforts with regards to selling my lot in Palm Coast. I have to say, it was a very smooth transaction and I would highly recommend you to anyone who is looking to sell their property or to buy a home or lot. I just want to say how professional you are and it was a wonderful experience dealing with you and Watson Realty. I would hands down recommend your company and your professionalism to anyone who is in the market. Thank you once again for a smooth transaction. It was greatly appreciated. accomplishing the sale of my lot in such a short time! professionalism, and knowledge in this regard. Rich was a significant asset in the sale of our home. "on the money." Highest compliment = we would list again if ever selling. I want to thank you for selling my house. Since it's a slow buying market in Florida & everywhere else, you did a great job with listing my house & also dealing with other Realtors with selling this house. Your professionalism in dealing with me and my brother's wife is very appreciative. I want to thank you again for your hard work. When my wife and I come down to Florida we will call you first, then stop by to say hello. If I ever thought of buying in Florida, you'll be the first to know, to be my No. 1 Realtor to get in touch with. I would like to personally thank-you for your efforts and support on helping me with the sale of my sister’s Palm Coast home. After her death, I was in a position where I had to take charge of the sale of her house. I felt the house needed a few updates prior to listing it on the market. With living out-of-state and not knowing anyone in the area, you were a great resource with your recommendations. I cannot thank-you enough for the referrals you were able to give to me for the general contracting work, as well as the lawn maintenance/ landscaping work. They were not only very professional, but also honest and dependable. Through these efforts, I was able to increase the profit of the sale of the house. I have bought and sold several homes and I must say, you are the most engaged & professional realtor I have ever worked with over the years. I really appreciate how well you communicate with your clients. If you do not answer a call, you always have a message with times that you will be returning calls. I always knew exactly what was going on with the sale/activity of the property. Your expertise played a huge role in landing a contract 8 days after being on the market-(marketing/price right). Obviously, you know the Palm Coast area and are well connected and respected. This does not happen by accident, but by focus and hard work. I am sure these are the reasons you consistently rank #1 in sales in Flagler County and the Palm Coast area. I am grateful I had the opportunity to work with you. My sincere appreciation for all you have done and wish you much success! Received the check today from the purchasers regarding the additional household items not included with the sale. Thank you for handling that for us. On behalf of our family, we would like to thank you for the outstanding way this transaction was handled. Handling this from New York could have been much more complicated and we appreciate that the line of communication was always open, prompt & efficient. Every phone call & email was responded to as promised. Although we had interviewed several realtors, we felt immediately comfortable with you. Your suggestion of getting the house appraised before a listing price was determined was an excellent one. The appraisal came in at exactly what you had estimated it would based on your comps. In addition, your recommendations for the mover & estate sale person was great. They too, were very professional. Not being from the area, we would have been at the mercy of the Yellow Pages. We would not hesitate to recommend your services to our remaining friends and family in the Palm Coast area & wish you much continued success. Just a note to thank you for all your guidance and advice in regards to the recent sale of my home. Your expertise in knowing the market, your many years of great success in Real Estate and your well thought out ideas and strategies all contributed to the timely sale and the positive experience I had in the process. I so enjoyed working with you and your team, especially with Bertina! Now I’ll assure my role as your ambassador. I’ll tell my friends and neighbors ( and anyone else who comes along) that if they are looking for a top notch Real Estate agent who has years of experience, who knows the market, who provides excellent service, who is full of innovative ideas and who is very pleasant and personalble, then Richard DeCeglie of Watson Realty Corp is their man. Rich DeCeglie for his complete professionalism and work ethic. I had the opportunity to hire Rich to sell my home in Palm Coast. Rich covered every aspect of the sale, responded immediately to any concerns and made adjustment when requested.My house was sold immediately. Once again, I commend Rich for his hard work. results. We sold our lot within 2 1/2 months and closed before the end of the year. The people at Watson, thru the whole process, were very professional, thorough, informative and friendly. working with you on the sale of my mom's condo. were being sold in Palm Coast, particularly in the Lake Forest community. produced another contract within a week. Sold and closed in a month, how can you beat that. and would highly recommend you if ever their need were to arise. Many thanks and may God Bless you always. I listed my condo on Oct 14, 2013. Rich came in and took pictures on the following Wednesday. I couldn’t believe how fast he SOLD it. I didn’t even read all the ways he was going to market the property. When he called me and said someone made an offer, I was totally amazed. He is a miracle worker. We closed on October 28th 2013. Thank you very much. We will pass your cards to friends and family who wish to buy or rent in Florida. We are very happy with Richards progress in selling our home, He meet with us and kept us informed in his every move. We had used Remax prior to contacting Richard, They were a Joke. The process and speed that our home was sold was remarkable. We received our asking price and the paper work was a breeze. We have bought and sold property for a number of years in several states, but by Far Richard knows what he is doing and travels at the speed of light doing his job. We have never worked with a person in the market that did such a Great job and never lead us in any other direction. NOTE, With in one month we were done, without out all of the Drama. Don’t waste your time with other companies, just go to the best at first!!!!!!!!! He does his best for you! Always keeping in touch with the clients. reach him if any questions arise!! As the sale of our saltwater canal lot is now complete, I can take this opportunity to thank you for your rapid-response and especially for your honesty and accuracy in your market estimate. In less than one week of “on-the-market” time we had two offers in the middle of the competitive range that you estimated. Moreover, from the time you gave us your appraisal of our property until it was sold, you maintained near-daily communication with us. That level of communication was not required, but you did it anyway. It gave us confidence in your ability and showed us you were as engaged in selling the property as we were interested in seeing it sold. Someone could always say that the market was “right” or that our price was “too low” and that perhaps is at least partially true. Nevertheless; you brought us a ready, willing and able buyer in one week. It’s a nice relieve to have that sale behind us. Feel free to use me for a recommendation anytime in the future. "We were amazed with the terrific sales strategy Rich put together for us. As a result, we were able to launch the sale of our home with a competitive price that resulted in multiple showings during the first two weeks. We accepted the second offer received and our home was sold inside of a month. Rich is a caring professional with great real estate expertise and wonderful communication skills. We highly recommend him to other Palm Coasters looking to sell their homes." Richard met with us, evaluated the property, priced it and gave us detailed information as to how he would market the property. Professional and personal all the way. As a seller's agent, he outshone the field by far! Completing the sale in 2 1/2 weeks proved his worth! 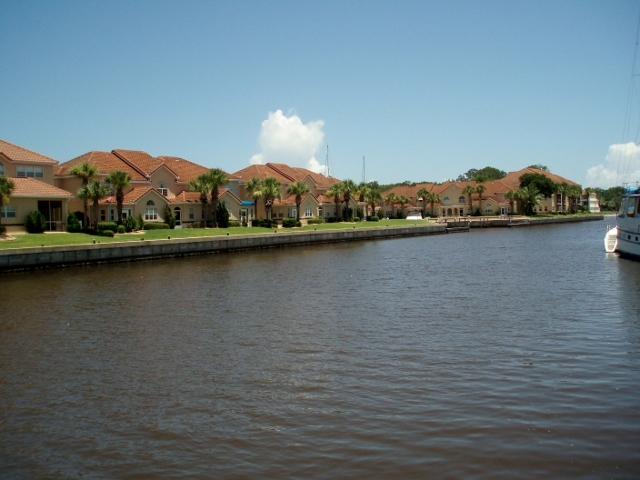 I listed my home in Palm Coast, Fl, with Richard DeCeglie in 2012 during a 'buyers' market. He had a positive attitude about the prospects for a sale when other realtors I contacted did not. He advertised my home in an attractive way, including the internet, and he did not pressure me to accept a low bid that we received in a few days. Within a reasonable time, he found a qualified buyer who paid close to the asking price. Rich always answered my calls and kept me informed about the status of the listing. I recommend Rich to anyone who wants to sell their home in a tough market. I hope you are having a truly blessed day! I just wanted to take the time to tell you how much me and my mother (Ellen Beckmann) appreciated everything you have done for us, and how effortless you made the entire process of selling my mothers home. I was in shock when we sold her home in one month in December, but i quickly realized that this is just the norm for an unbelievably gifted real estate agent like you. I have already given out Richard’s number to 3 people because I trust that Richard is hands down the best at what he does because he truly cares about each one of his clients. Thank you so much Richard for all you have done for me and my mother. We will forever be grateful for you and your staff of professionals. Forgive my lateness in sending you this letter. We have been quite busy with the move and whatnot. Needless to say both Jan and myself were in a state of complete shock when you called the day after we had listed the house and you said you had an offer. No one sells a house in less that 24 hours, do they? Well you did. Your comprehensive research closed the sale on the listing. I wouldn't have thought of going with someone else after all the data you presented. I might add that a previous realtor had presented a selling price that was well below what we ended up with. Your communications with us was excellent and we thank you for your expertise. If you ever need a phone-type recommendation please call or e-mail. Rich listed my house at a fair market value. I received the amount I wanted. I was away while the house was on the market and Rich took care of changing air conditioner filters and getting routine maintenance done. He kept me updated on the showings and marketed my house on the internet. Job well done. We are glad we remembered your hard work when you sold our first house in Palm Coast. This time your experience, great advice and prompt answers to our questions certainly helped us sell our house in Marina Cove. We will recommend your services to anyone who is interested in buying or selling a house in Palm Coast. Rich was very helpful in the sale of my mother's house in Palm Coast. Due to ill health she moved to Maryland to be near the family. The task of selling her house was left to her family and was made much easier thanks to Rich. He put us in contact with various services to get the house ready to sell. The house was priced competitively and we received 2 offers within days of listing it. We accepted the second offer and went to closing within a month. Thanks to Rich and his excellent staff the whole process was so much easier than we ever anticipated. When I decided to sell my home, I contacted Richard as he had listed the house next door and sold it in a very short time. I was very impressed with his knowledge of the current housing market. I felt that he was very professional in his presentation and decided to go with him. I am very happy that I did as my home sold right away and we had a quick closing. I would use him again and recommend him to anyone that is seriously considering selling their home. He does a terrific job of marketing properties and I feel that he is one of the best agents in my area. I listed my home for sale with Rich on a Monday. On the next Wednesday, just two days later, I had two offers and my home was sold to my satisfaction. We have arrived in New Jersey safe and sound. After a joyful reunion with our family, the first thing on our mind was to sit down and write you this note of thanks! From the time we decided to leave Florida and first listed our home for sale, you were right there (almost 24/7) to advise, offer help and, in any and every way, be there as not only our agent but also as a friend. You made an otherwise stressful situation a pleasant experience. And I know that how we were treated was not unique to us – you treat all of your clients as well. Again, thank you so much! Our hope is that your future brings you much continued success and abundant blessings. We wish to thank you so much for the support and expertise on helping us to sell our property in Palm Coast. We appreciate your know how, help and the professional ability you demonstrated on getting the sale go through smoothly and worry free. Rest assured that we’ll recommend you to our friends, should they need you professional help. I have know Mr. DeCeglie in a Client/Real Estate Consultant relationship during some good times and some not so well. I have found him to be very professional in every way, always working to achieve what is best for all with whom he serves, and often times going out of the realm of his responsibility to assist those in his clientele. Based upon my experience with Mr. Richard DeCeglie, I unequivocally reommond him as a worthy and competent Realtor. Thank you very much for helping us to sell our house on Edward Drive, Palm Coast. It is amazing that you were able to find a buyer on the day the house was put on the market! Thank you so much for all you did. Our house sold so quickly in large part because of all the wonderful pictures you took and the personalized attention you gave us. Thank you very much Rich, you made it all painless. 1410 Palm Coast Highway, N.W. The daunting task of selling a home can be over-whelming, especially without any knowledge of the real estate field. Whether buying or selling a home, I cannot emphasize how much you need Richard DeCeglie,CRS on your side. As our real estate consultant he educated us on the real estate market and guided us all the way through up to and including the closing. His integrity led us to a real estate agent that knew the area better than he did so that the financial integrity of our sale would not be compromised. His recommendation allowed us to close within 2 weeks of the listing. His excellent customer service and superior attitude is why I would recommend him to family and friends. Thank you for your help in selling Dad’s house. It is an enormous relief to have that behind us – allowing us to move forward with life in North Carolina. Dad is doing great and enjoys the company of family. I am overwhelmingly relieved that he is no longer living alone so far away. We could not have asked for a more perfect resolution of the living situation. I have written you a recommendation which follow. When we needed to sell my father’s house we chose Richard DeCeglie as our realtor. His pricing strategy proved to be on-the-money and his marketing methods brought in the right buyer. We accepted an offer above the asking price on the second day the house was on the market. Richard’s excellent YOUTUBE video coupled with his contacts with other realtors worked to stimulate interest in the house. We are thrilled with the quick sale, and highly recommend Richard. Thank you for taking care of my home on East Diamond Dr in Palm Coast. You had my house sold within 2 months. Which is very good since I thought this would take six months. I did not receive any negative feelings from the tenant which had to leave. I will contact you when I have to sell my other homes. I'd like to take this time to "Thank You" for your performance in selling my mothers home here is Palm Coast. It was listed and SOLD on the very same day. Your advice and guidance with the pricing was excellent. We didn't have to bargain back and forth and all parties were very happy with the outcome. Its realtors like you who make this transaction smooth and efficient. Well, you did what you said would do, which was to sell my (former) home at 8 Vanderbilt Place in Palm Coast. Thank you! With the difficult market you were in, with so many homes on the market, it was a difficult situation, but you came through! THANK-YOUAGAIN! My daughter and I would like to thank you for selling my home. I have been recieving your informative and enjoyable newsletters. I even saved them to refer back to , knowing that someday I would need your services. Recently I finally decided it was time to put my saltwater canal home on the market and I felt you were the one who could get the job done. I was right!! You gave me excellent advice as to pricing the house right. You came immediately and took many pictures and put them on the internet and emailed them to other agents. I recieved an offer in two days and after a few negotiations we had an accepted offer. My daughter and I believe it was your expert knowledge of the market and proactive actions that enable my home to sell so quickly. This was a quick and efficient process thanks to you. You kept us informed every step of the way and were available to answer questions. We will certainly be recommending your services to anyone we know who might be looking to buy or sell a home in our area. Thank you again. Harry and I were very happy that we had you to sell our house. Your experience and professional manner, when explaining what should be done to sell a house, was very thorough. You answered all our questions and made the process very easy. It was unbelieveable, when our house sold in only one week! Rich was very helpful at facilitating our transaction from afar. His communication was prompt, organization very clear and thorough, and was pleasant to work with. His knowledge of the local market and experience was also quite apparent. Overall I was happy with the way things turned out. Please accept this correspondence as an expression of my appreciation for your recent efforts. You responsiveness and ultimate patience during the prolonged estate process was reassuring. At the outset, you provided helpful insight as to the Palm Coast real estate market conditions and guidance going forward. Once we were poised to market the property you had it on the multiple listing system on a Friday afternoon and by Sunday we had two bona fide offers!! I attribute this to the professional way in which you presented the property and tailored it to the most interested buyers/brokers. Your perseverance in keeping me advised as to the progress of the buyer's lender, given the uniqueness of the situation, was also exemplary. Once again, thank you for the way in which you handled this transaction and please relay this message to those at Watson Title as well. You sold the property today! Of course that is what you had promised to do, but I am writing to explain why I feel grateful and pleased about the way you did it. As the out-of-state trustee for the Cooley trusts, I knew that I needed a good local realtor. You may recall that a selection committee of estate heirs interviewed you and two other highly recommended and successful realtors to determine who would be our realtor. You were the unanimous first choice, not because you promised the highest sale price but because you had the best business approach and spoke most realistically about the current market situation. I have never regretted our choosing you for the job. You immediately started to work. Along the way you offered good realistic advice about options and potential outcomes. When we experienced maintenance problems you found reliable experienced service technicians who corrected the problems on time and within agreed budgeted resources. You guided me through the final paperwork maze. You always kept me informed about the current situation no matter whether it was progress or a setback. I soon learned that I could trust you and that trust was never disappointed. The entire process was a lot of work for you. I tried to keep up with the situation through your reports, and that effort was never a burden. Instead it was a series of pleasant experiences. I'll miss your frequent upbeat phone calls! My wife, Marie, who has purchased and sold several properties and observed your handling of this property sale, told me that you have certainly earned your money on this sale. Thanks for being our realtor. If I ever need to sell another house in Florida, I'll call you first. You have my permission to use all or part of this letter as needed for a recommendation. You may use my name and contact data as a reference. I cannot speak highly enough about Rich Deceglie and the incredibly professional, timely and most importantly, effective service he provides as my realtor. These times we are in now are very tough on all of us who invested in the real estate market. I have been lucky enough to have found Rich though and sold all of the properties I needed to despite the daunting forecast we are all faced with. Rich is a joy to work with, he is honest and has a great sense of humor. I have been working with him for about 5 years now and have had nothing but positive experiences. I look forward to brighter days in the real estate market so I will be able to work with him once again. This letter is to thank you for the great effort that put out into selling my property for me. We were in touch all the time. You kept us up to date at what was happening. Because of the way you conducted the business, I would not hesitate to recommend you to anyone. You are the best real estate agent I have ever worked with. Hi Rich, sorry it took me so long to write this note of praise to you for all the information you gave me on selling my property, and selling it in less than 1 month’s time. I’ve told several friends of your GREAT service so hopefully if they look in Palm Coast they will look you up. Thanks again and have a wonderful summer. Just a brief note to thank you for selling my house. You initially presented me with your successful marketing formula that has worked well for you for years. I can pat you on the back and say it certainly worked for me. Interesting enough you sold my property for much more than the previous agent wanted to list it at. You are a credit to Watson Realty and your profession. Again thank you Rich DeCeglie! Enclosed please find 5 keys labeled for the new owners. It has been a wonderful experience to have you as our Realtor. You have been professional helpful and courteous. Your monthly reports were welcomed as they gave us an insight into how the market and our particular condo were doing, especially in our market that was not too kind to the seller. Thank you again for your expertise and caring. I just wanted to drop you a short note of appreciation for your help in getting our saltwater canal home sold. 2010 has been a difficult year for our real estate market, and your advice was invaluable for positioning our property on the market at the correct price to draw an offer. Our property was under contract in a few short weeks due to your knowledge and hard work. Your expertise in guiding us through the closing process was much appreciated. Closing is not an easy endeavor under the best of circumstances, but was made particularly onerous in this case by a balky mortgage company and a buyer located overseas serving our country. I will definitely come to you for all of our Palm Coast real estate needs, and will be recommending your services to all of our friends and neighbors in Palm Coast. Richard your professional demeanor, friendliness and “can do” attitude immediately let us to a decision to retain you in selling my father’s house. Both my wife and I found from the out start that you took so much pride in your work, which manifests that pride in your commitment and dedication to our need during the most trying times. We were incredibly impressed with your knowledge, professionalism and amazing attention to detail. After just a couple of conversations with you, we had complete confidence in your ability to manage efficiently the selling of my father’s home. You carefully guide us thru the legal maze which being from out of state was most helpful since we have never been involved in selling the house. You secured the necessary inspections to learn what defects needed to be corrected saved me many thousands of dollars, but when that extra mile in assisted us in locating local electrician, carpenter, painter, landscaper and pool service as well as an estates manager, which allow the home to be place in an improved marketability. Within 1 day of listing my father’s home with you, you found a buyer, and we sold within 2 weeks. Trust is commodity that is hard earned but well kept and has earned ours. We will definitely be back should we decide to return to Palm Coast and purchase a home. It is with great pleasure that I write this letter of recommendation. Your knowledge and guidance in the sale of our house was of great importance to us. It was refreshing to know that whenever we called with a question, no matter what time it was you were quick to call back with an answer. Even when the bank was slow on approving the mortgage, you kept us up to date with what ever informaiton you had. Please do not hesitate to use us as a recommendation and rest assured should we ever need the services of a real estate agent, you will be the person that we call. I hope you and your family are having a good holiday season. To all sellers of property in Palm Coast.! I highly recommend Rich DeCeglie, if you want results! My property sat dead for 9 months before I listed my old do-nothing Realtor. Rich took my house and had it under contract within 60 days. If you want results and not lip service, call Rich. He will get the job done! If anyone in Central/North Florida asked us for a Realty company recommendation, my husband and I would immediately recommend Watson Realty and Richard DeCeglie, -- without hesitation. They were always Professional and did every thing possible (even in this difficult market) to facilitate a sale. It was a pleasure working with them. My family and I wish to thank-you for the excellent professional service you provided regarding the sale and closing of our mom’s estate home. It was a difficult time for us and we appreciate your guidance in securing a timely sale and for following through with all the details in a professional manner. I would be happy to recommend your sevices in the future. Please feel free to provide my phone or email address to a potential client if the need should arise. Just a note to say thank you for the professional way you handled the sale of my mom's estate home. Things went fast, smooth and expeditiously, the way things should be in a perfect world. I will keep your business card and refer any new business that comes my way. It's been a pleasure being on this side of the table for a welcome change. I would like to thank you very much for all your outstanding and professional work throughout the process of selling my property. I had tried to sell this property twice previously, with different agents, but unfortunately had no luck. Not only were you able to sell my property in a timely meaner, but you also made the transaction between the buyer and me, a smooth one. Even when faced with complications you kept to your word and delivered the results you had promised. I could not be happier to have done business with you, and I’m very impressed by your knowledge and dedication. Should I be looking for real estate in that area again, you will be the first person I will contact. Thank you once again. Well if finally happened. Our house was sold thanks to you. Because of the low or almost no housing market and the house in the above average price range, we did think we would ever get it sold. But, hearing you say “hang in there it will happen” gave us hope. Being an absentee owner, we needed much help not only with the sale of the house but with little things that needed attention at the house. You were always available when we called with a problem and helped get it solved. Having someone you can trust and have confident in put us at ease. Because the buyer was located in another country, it took a lot of extra work to make the sale happen. You were there to make sure all parties had the correct information to get an acceptance of the contract. Your experience and professionalism came to the top when we needed it. Thank you again Rich and wish you continued success in the future. Hope the housing market turns around for you and your fine company. I have found Mr. Richard J. DeCeglie,CRS to be a most remarkable real estate associate for Watson Realty who I contacted after endeavoring to sell my deceased sister’s home for nearly three years. I am happy to report that he found a client for the property within a week of my contacting him and have since gone to closing soon after. I thank him very much for this service and recommend him highly to anyone who is looking for good service in this regard. I would like to take this opportunity to write and express Bill's and my appreciateion for your help in selling my dad's house after he passed away. We were impressed with how quickly you created an appealing presentation of the house on the Watson Realty Website. Your extensive communication network with other realtors in Flagler County is what, I believe, was the driving force in selling my dad's house so quickly. Six showiings, two offers and the sale of the house in a week is unheard of in these difficult times. I appreciate the fact that you called me on a daily basis to inform me of the activity. Thank-you again for assisting us diuring this difficult time. I would like to take this opportunity to express my complete satifaction with the way Richard DeCeglie handled my realty needs. He was able to sell my home located at 17 Patric Drive in only one week. He was very professional and thorough and kept me informed at all times. I highly recommend him to anyone interested in selling or purchasing a home. Richard was very polite and courteous as well as hard working and got the job done wuickly and efficiently. This section is designed to give you some ideas as to the level of service as a Palm Coast Realtor that I provide. I service the communities of not only Palm Coast, but also Flagler Beach, Hammock Dunes, Grand Haven, Ormond Beach, and St. Augustine as well as Flagler County, FL. Receiving thanks from clients who have had successful real estate purchases is largely due to the fact that I always assess the needs of my real estate clients and provide them with a level of service that is second to none. My real estate services as a Realtor extend to the areas of Palm Coast, Flagler Beach, Hammock Dunes, Grand Haven, Ormond Beach, St. Augustine and other areas here in Flagler County, FL. In this site you find real estate and homes for sale in Palm Coast and all other Flagler County areas which include Flagler Beach, Hammock Dunes, Grand Haven, Ormond Beach, and St. Augustine. There is no doubt that providing the ideal level of real estate service will mean that you will be able to meet all of your real estate objectives.